I guess you're thinking you're at the wrong Blog?! These colours are way, way out of my comfort zone. Normally, I use something with a little more punch. Yeah, I'm not sure what came over me, but some pretty, paler colours seemed right for this lovely fairy, so I went with that. I'm thinking I've not used some of these Markers before. Ahem! Gorgeous card, and stunning colouring. 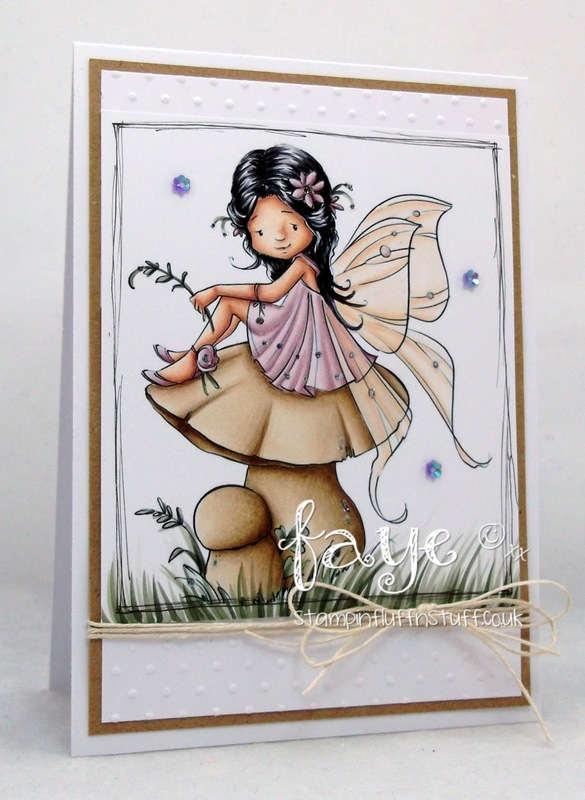 A sweet and delicate image coloured superbly Faye. 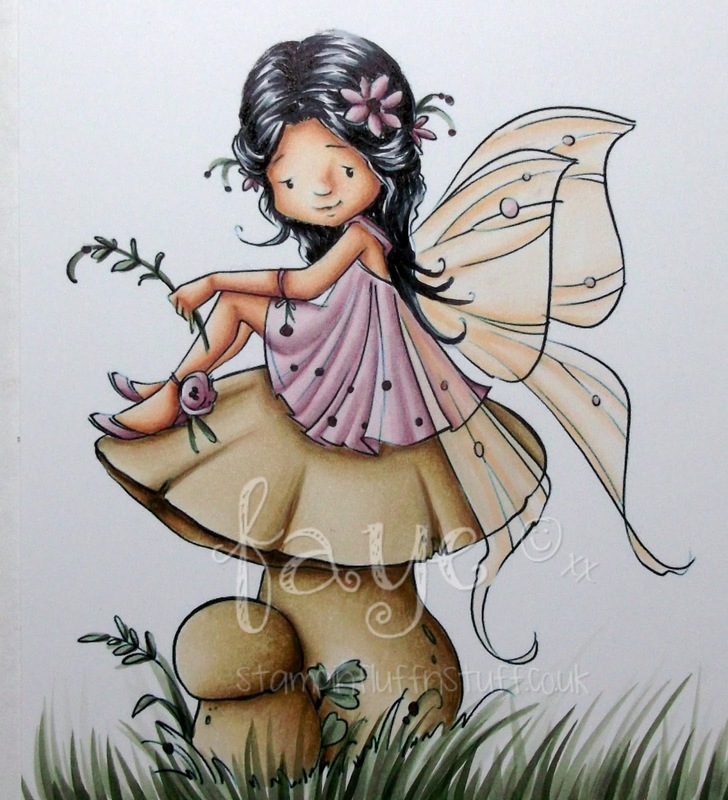 I love these colours Faye, glad you have used them...Copics have so many colours that we should all experiment colours out of our comfort zone..
What a sweet image Faye, colored beautifully..
Well.... out of your comfort zone you may be ..... but by the looks of this wonderful colouring - into a whole NEW comfort zone!! LOVE it sweet lady! Exactly what struck me - a very different Faye color scheme! I would have imagined you'd color this mushroom red with white spots, But I do love your soft coloring, such a delicate card! WOW - you really are terrific at colouring in! Wow, love this ! Stunning colouring !